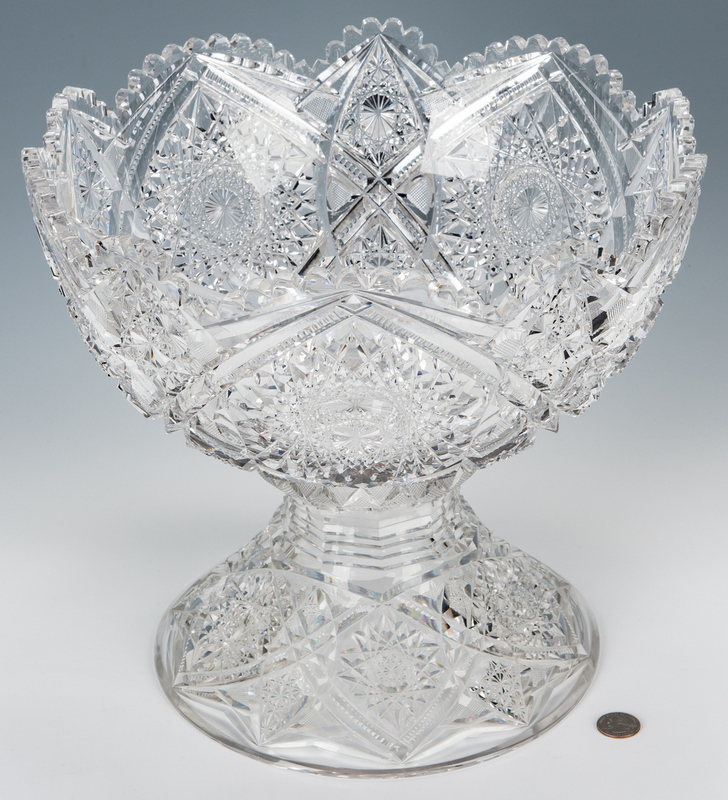 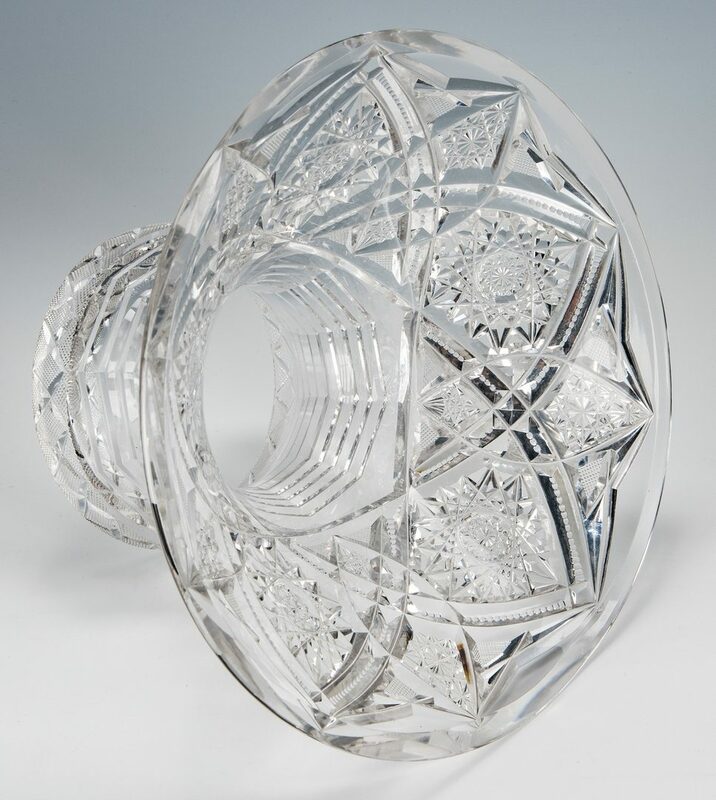 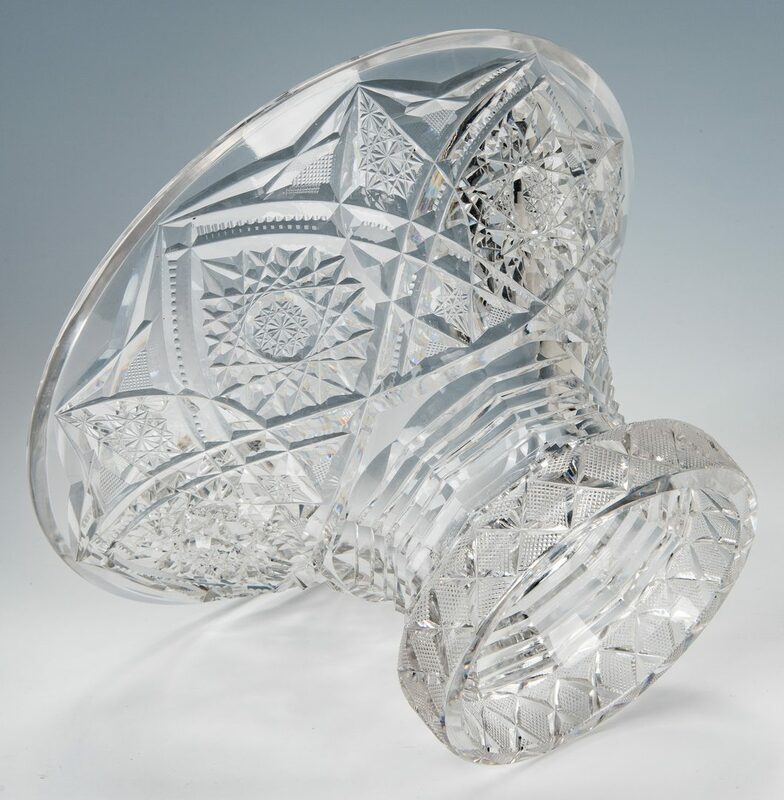 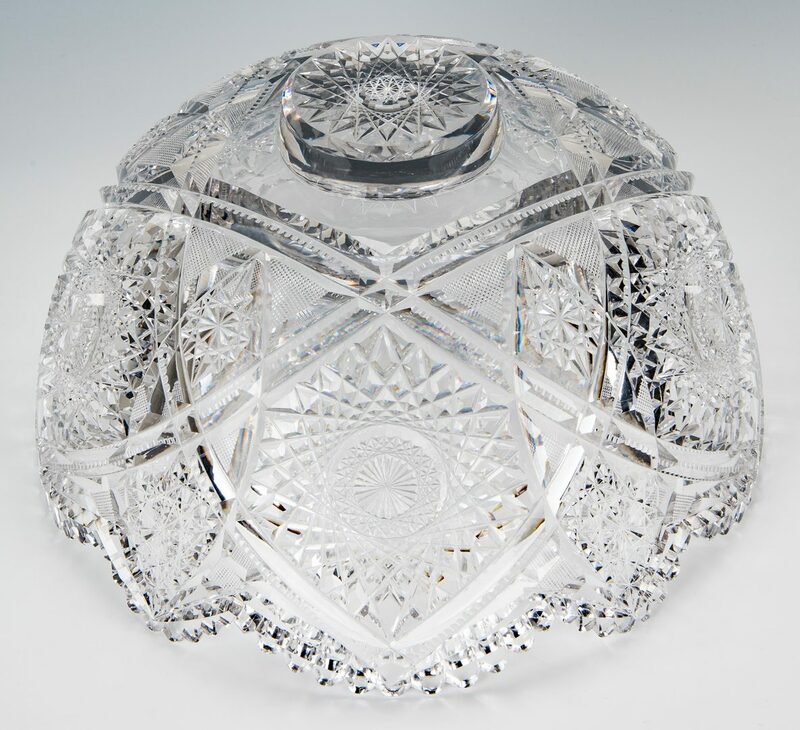 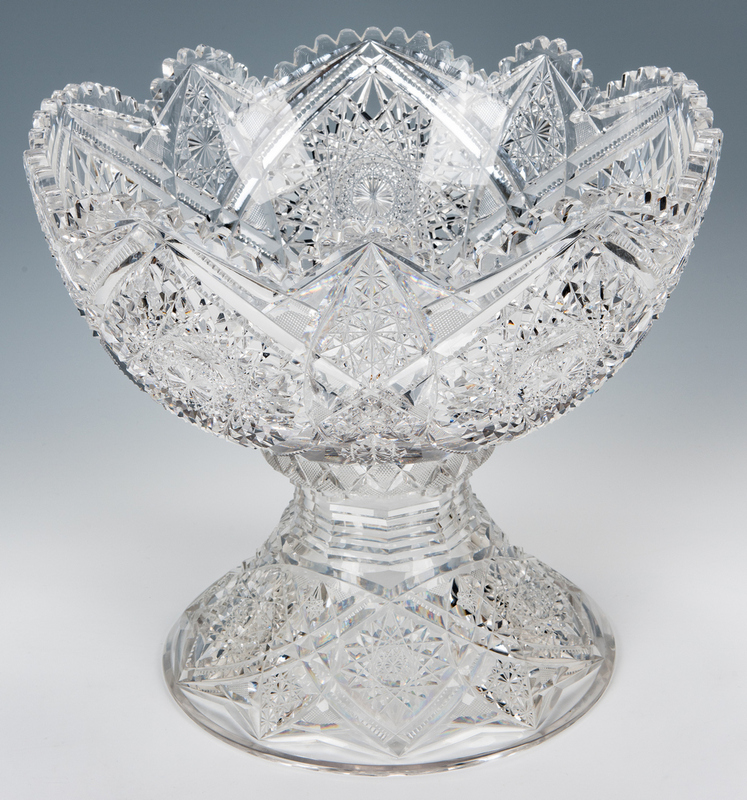 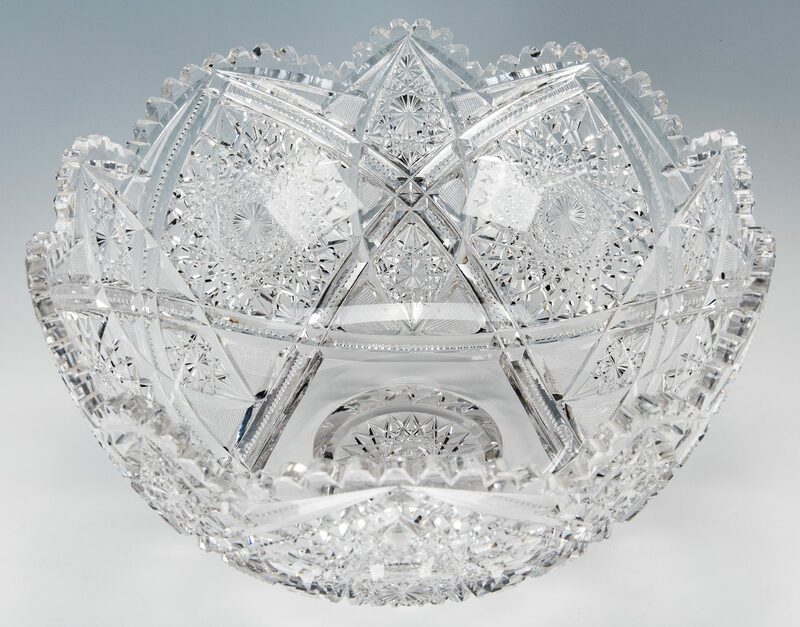 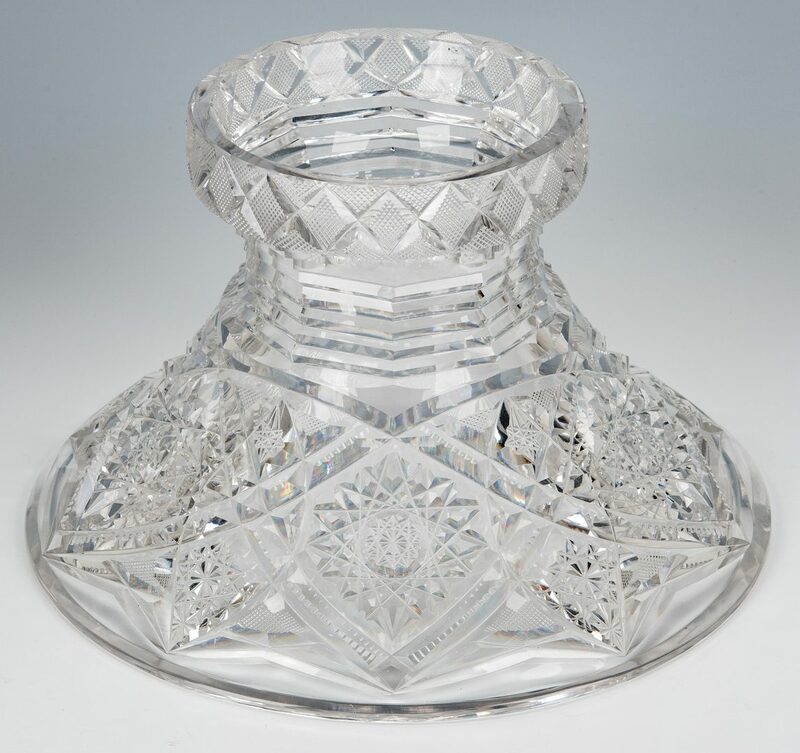 American brilliant cut glass punch bowl with a pedestal base, having a scalloped sawtooth rim with hobstar and crosshatching designs to both pieces. 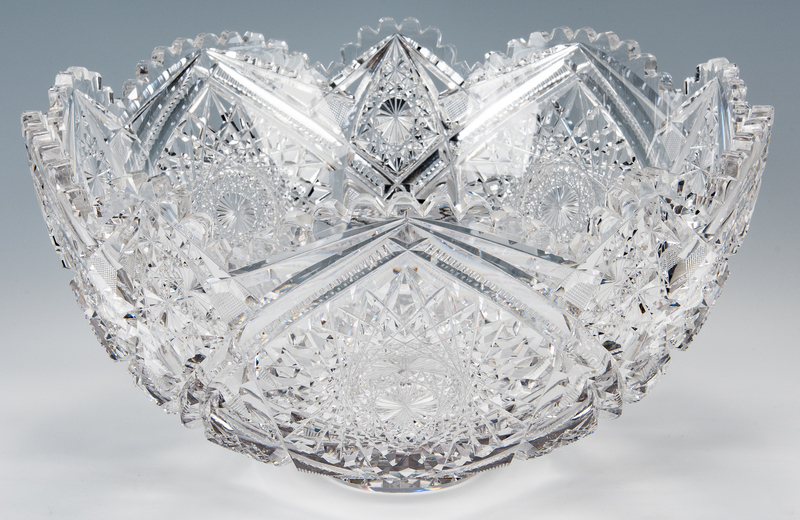 Bowl – 8" H x 14 1/2" dia. 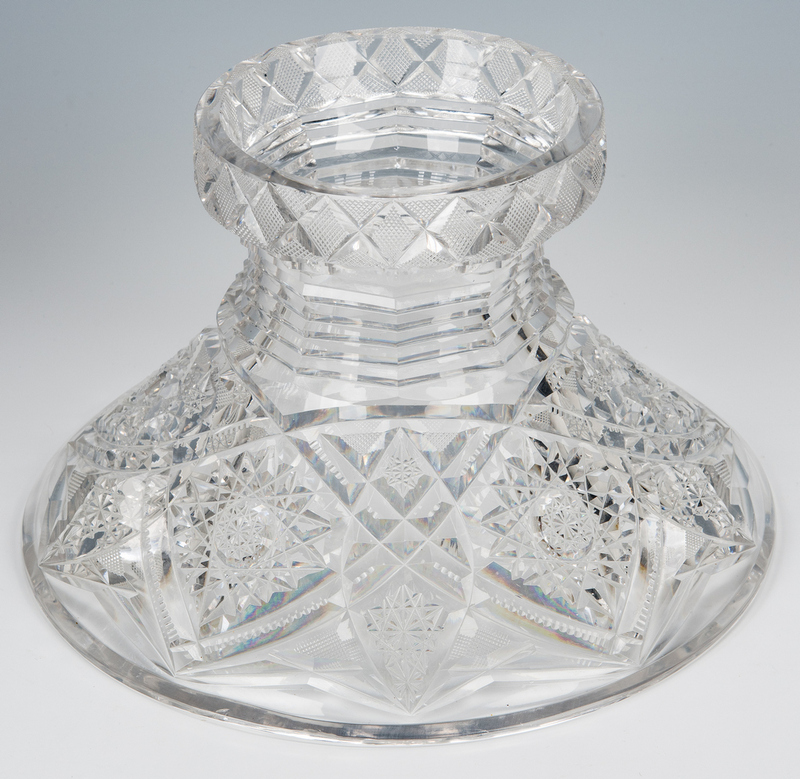 Pedestal – 6" H. Overall – 12 3/4" H. Late 19th/Early 20th century. 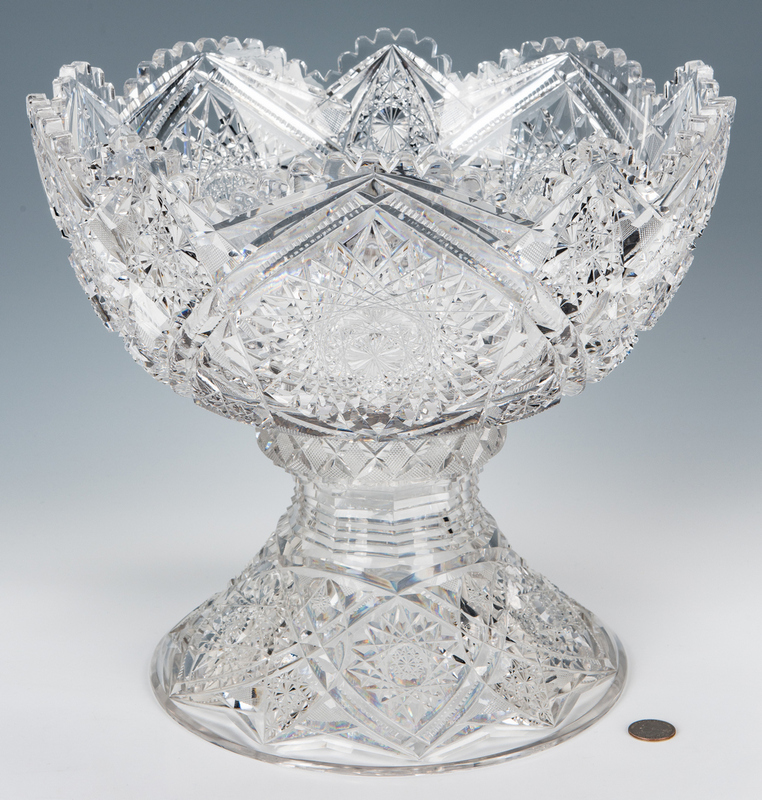 CONDITION: Minor surface scratching to interior of bowl. 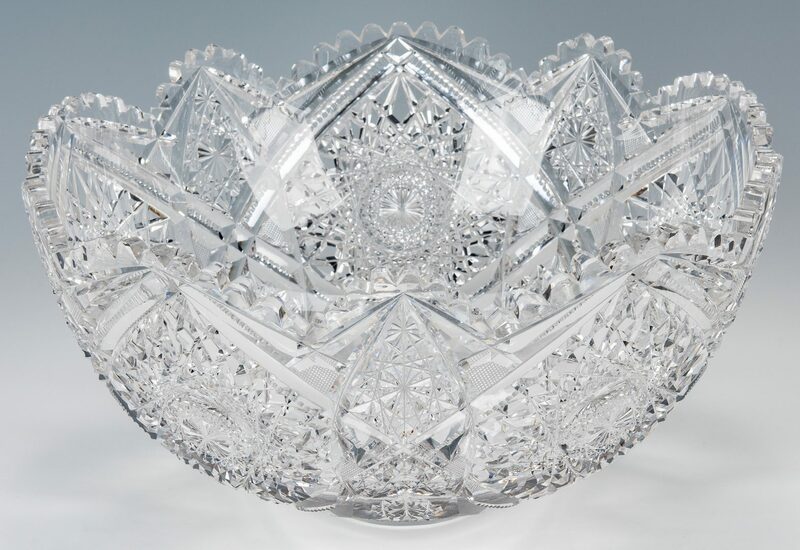 No chips, cracks or defects noted.